For example; transport improvements, schools and other improvements needed to support new businesses and homes in the area. CIL is charged to the developer and the monies collected by Mole Valley District Council. The charge is worked out on the size of the property or properties being built on a square metre basis. Full details of Mole Valley's CIL charging structure, exemptions and definitions are set out on their CIL Charging Schedule webpage. The main benefit of CIL for Bookham is that, IF the NDP is voted for and a NDP is in place, Mole Valley will put aside 25% of the CIL monies from development in Bookham for use in Bookham. Mole Valley will decide in consultation with appropriate local bodies what the monies should be spent on. The presentation given to the Forum at the meeting on 23rd March 2013. The focus was on answering questions that had arisen from the previous meeting. 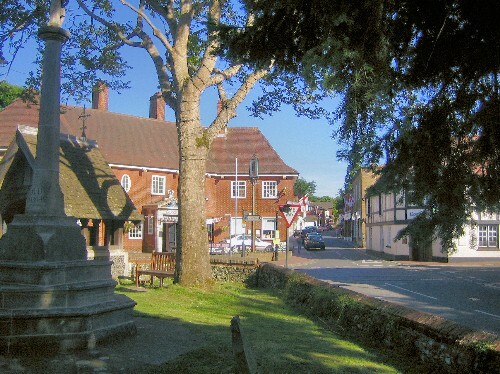 The infrastructure team stressed that it is important to understand that the overriding objective of the Neighbourhood Plan regarding infrastructure is not to solve current problems but to identify particular areas where significant issues may need to be addressed in the future to cope with any increase in population in Bookham. It also focused on what can and cannot be addressed in a Neighbouhood Plan, education and health provision being primarly outside the remit of planning policy, except for providing land and space to supply additional facilities if required. Infrastructure plans for Bookham: Where might development go and what infrastructure might be needed to support it? Can local services and amenities be maintained, or even improved, using the Neighbourhood Development Plan? When the population in an area increases, it has a knock-on effect on how many people use the same local services. If the provision of services is not increased at the same time as the population increases, it may cause obvious problems because of an insufficient level of supply, or even failure of a service through over-use. Examples could be congested roads, flooded drains or lack of parking space. The direct link between new homes and an increase in population creates a clear need for the community’s local infrastructure to be carefully examined. The aim will be to ensure the services and amenities available are sufficient and to pinpoint any that could benefit from improvement. The Neighbourhood Forum are currently considering exactly which services and amenities may need to be improved, or could be enhanced, in the detail of the Plan. “Infrastructure” is a single word description used for the utilities, private and public services and facilities that are currently required to support the population in the United Kingdom. Utilities include, telephone, broadband, water, electricity and gas. Private services can include medical, dental, homeopathic, home maintenance, elderly care and leisure activities. Public services include all those provided by district and county councils and central government, paid for from public money taken in taxation. 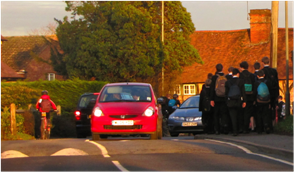 In Bookham, the main infrastructure issues are seen as transportation, healthcare, school places, community services and facilities, green infrastructure including open spaces, sports and recreational facilities and allotments. The Neighbourhood Planning process has already identified that new homes for Bookham are likely to be sited primarily to the West and South. Because of this, the infrastructure planning will focus on coping with an increase in the population in this part of the neighbourhood. ooks like a cog) to change this text. You can type new text into me or cut and paste text from somewhere else. Click outside of me when you're done and any changes will be saved. Another common problem in Bookham is surface water drainage. Foul drainage could also be an issue and capacity will need to be checked. Lessening the environmental impact of increased population can be done by encouraging as many people as possible to leave the car at home for short journeys and improvements and additions to the existing pavements and cycleways will be considered. This could also help with parking issues. Healthcare provision and pressure on school places will also be considered any required changes or improvement will be included in the Plan. Bookham is comparatively well served with Community Facilities, but we are still looking for ideas about what improvements might be needed and whether any new facilities could benefit the community. Depending on what type of housing is built, there may be a demand for more leisure facilities, or elderly care provision. Open spaces are one of the best features of the Bookham landscape. It is sadly inevitable that to provide the level of housing required for the next 15 years, some of the Green Belt land surrounding the current built up area will be used for development – in order to leave an abiding legacy for the next generations of Bookham residents, we need to ensure that the remaining open spaces are cherished and protected. Getting the new Green Belt boundary right is imperative as it should be designed to last for 30 years or more, just as the current one has.